During the ground-breaking ceremony for the Lusaka-Kapiri-Ndola Dual Carriageway project, the Chinese Ambassador to Zambia stated an old Chinese proverb that goes, “build your roads first if you want to get rich”. Transportation infrastructure is crucial to the economic and social development of a nation. Zambia has many favourable natural endowments for its development, however, subject to poor infrastructure, a fair amount of its economic potential cannot be fully tapped. The project of the Lusaka-Ndola Dual Carriageway was mooted over four years ago as part of the Link Zambia 8000 project and the process of selecting a PPP contractor started in 2015. In 2015 a Restricted Invitation to Tender was issued by the RDA (Ref: RDA/PPP/CE/001/15). 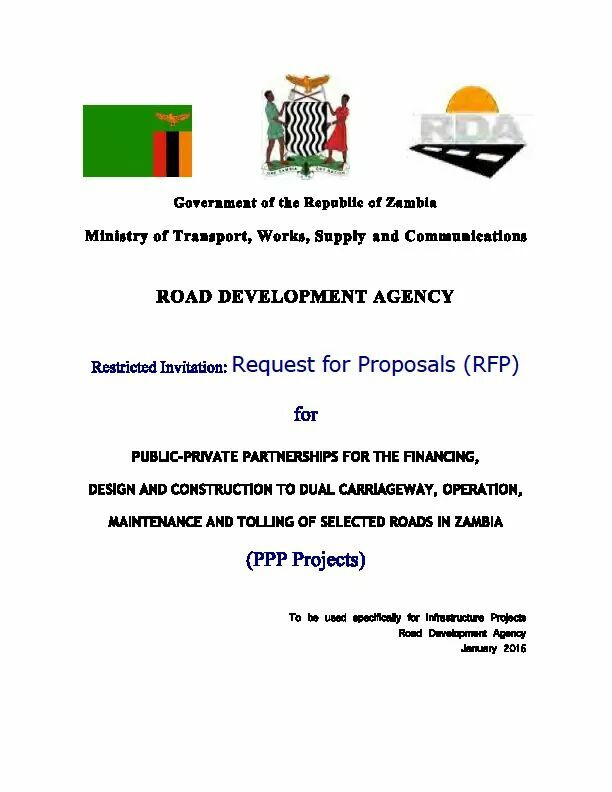 The RFP stated that the RDA, intended to enter into a Public-Private Partnership Agreement in form of a concession to undertake the upgrading of the Lusaka to Ndola road to dual carriageway. The Bidder was to propose the construction and concession periods, which shall be subject to negotiation. As can be noted from the above this was purely a road upgrading project without all the other added commercial provisions that the Minister highlighted to justify the new high cost of the project. All the bridges and by-pass roads were already factored into the project costs. According to the RDA RFP the Economic Internal Rate of Return (EIRR) this road was approximately 29 per cent and the cost of construction was estimated at K930 million. However, the Minister of Infrastructure and Housing in his Ministerial Statement to Parliament stated that the total contract sum is US$1,245,775,986 (approx. K11.1 billion) which is a huge jump from the original estimated K930 million). More importantly he stated that EIRR was now 15% and that the contract had been varied and that it was no longer strictly a PPP as the contractor had obtained a loan for the project. The Minister further stated that the selected financial model has a payback period of seventeen years, with an internal rate of return of 15 per cent. This rate of return is 50% lower than the original one even though the Minister stated that this was a very good rate of return! The project under the selected model further shows that the project will generate gross revenues of approximately US$3.5 billion over a period of seventeen years after commencement of operations. Even with the assurances from the Minister public perception of high level corruption in this project persists. Initially during the Groundbreaking ceremony, it was stated that the Government had obtained a loan of 1.2 billion dollars from China Exim Bank. This has been confirmed in the RDA 2018 Approved Road Sector Annual Work Plan (RSAWP) that shows a disbursement of K1.4 billion ($147 million = $1.7 million per km of works) for 86 km worth of works for the period covering 2018 and indicates the source of funds as China Exim Bank. More significantly, the Government of Zambia has provided a sovereign guarantee for these funds which means if something goes wrong the Zambian public will have to pay this debt. The Minister of Finance in his 2018 budget address stated: “Mr. Speaker, the recently launched Lusaka – Ndola dual carriage way is one of the most critical economic roads. Let me hasten to mention that this project consists of two phases. Phase I will be the construction of the dual carriage way, while phase II will involve the construction of auxiliary infrastructure which includes hotels, toll gates and service stations. The question that lingers is why Government is taking all the risk even for the private sector commercial projects on this road and if the internal rate of return is so good why is the Chinese contractor is not able to finance the project without recourse to sovereign guarantees. NOTE: Attached you will find an extract of the RDA RFP and also the RDA Workplan for 2018 showing a loan from China EXIM bank of ZMK1.4 billion. All these documents are publicly available.